NEW VIDEO!! Happy Thirsty Thursday guys!! The fall cocktail season is officially upon us- get ready for all manner of naughty and delicious cocktails coming your way and definitely let me know if there is something you would like to see. I mean, the whole ginger-apple-cranberry flavor combo is so good and quintessential seasonal flavors. I could see making these on Halloween or on Thanksgiving or for tailgating or even just tonight, because its a #ThirstyThursday!! Why ever you decide to make these, you have gotta do it! 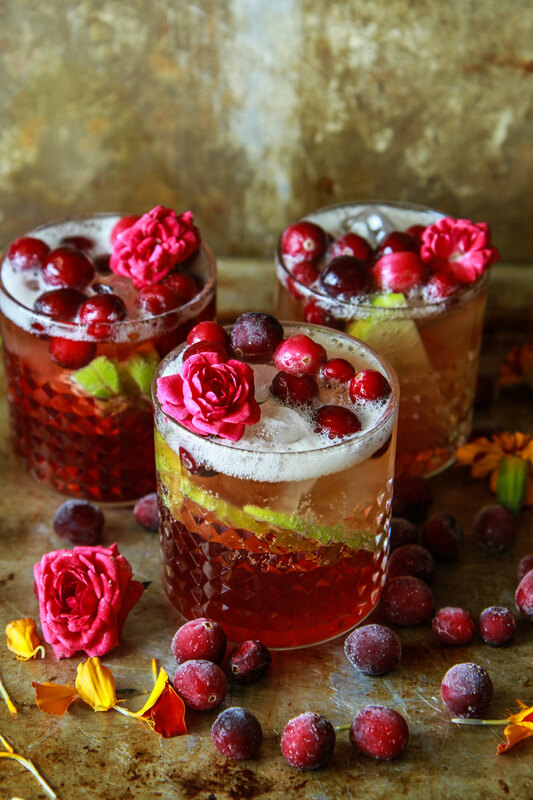 Super fun and easy cocktail and all of your friends will love these! 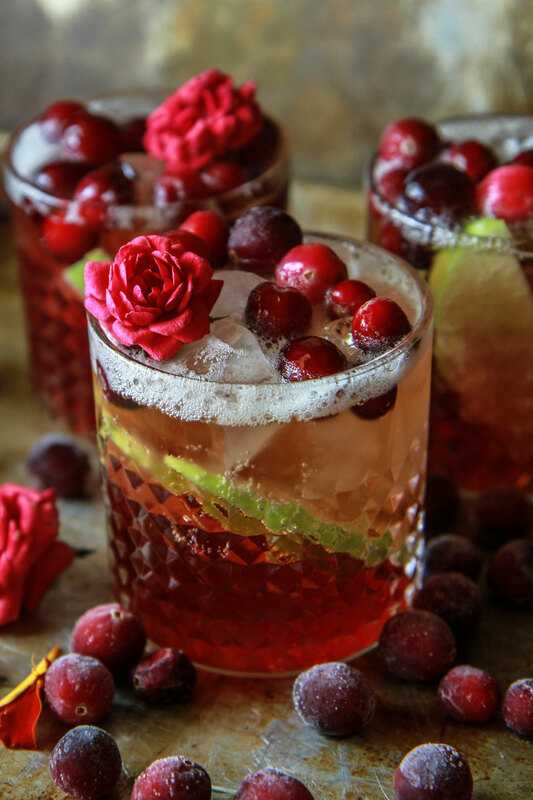 A Classic gingery Moscow Mule updated with the Autumnal flavors of apple and cranberry! Have you drank your Moscow Mules in copper mugs made in Montana? The copper & ice combination keeps your drink cold the entire time you drink your drink. It’s a win win combo! Hi Nadine- I have been dying to get some of those copper cups- I’ll have to do it! Your cocktails always blow me away and this is no exception. Gorgeous! 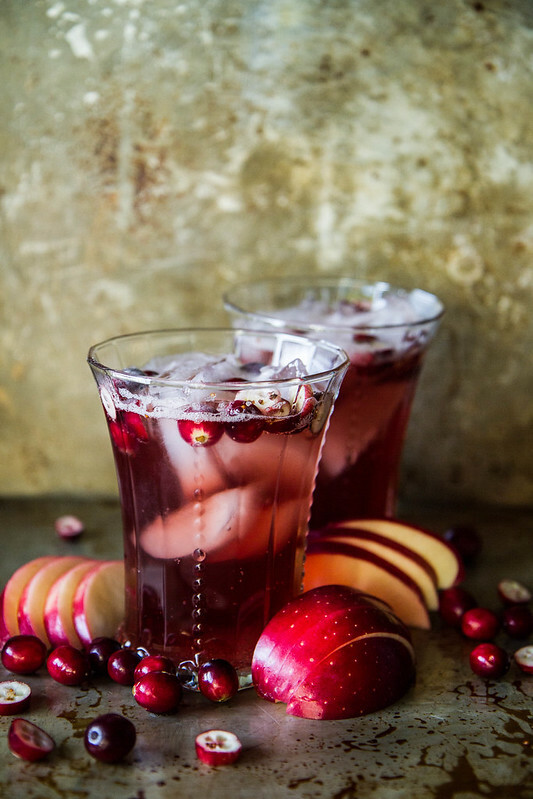 ginger and cranberry combo has me dreaming of Thanksgiving already! such a fabulous drink! I agree! Lilian should have kept her criticism to herself! Hello, this cocktail looks amazing and I would like to serve it tonight for dinner… how do I modify the recipe to serve more than 2 people? Is that cranberry juice cocktail or pure cranberry juice? cranberry juice cocktail. But my husband who doesn’t like the sweet drinks makes it with pure cranberry juice. Hello, wondering if you can tell me where you got the glasses used in this recipe, they are beautiful! Hi! Just gotta saw how much we are enjoying these this season. We are kind of new to the Moscow Mule rage, and your version is delish! We had a party the other night, with several holiday beverage choices and everyone wanted this! Anyway…thanks for sharing! Can’t wait to serve this at our Holiday party this weekend! Looks and sounds delish! Oh good Becca! thank you! 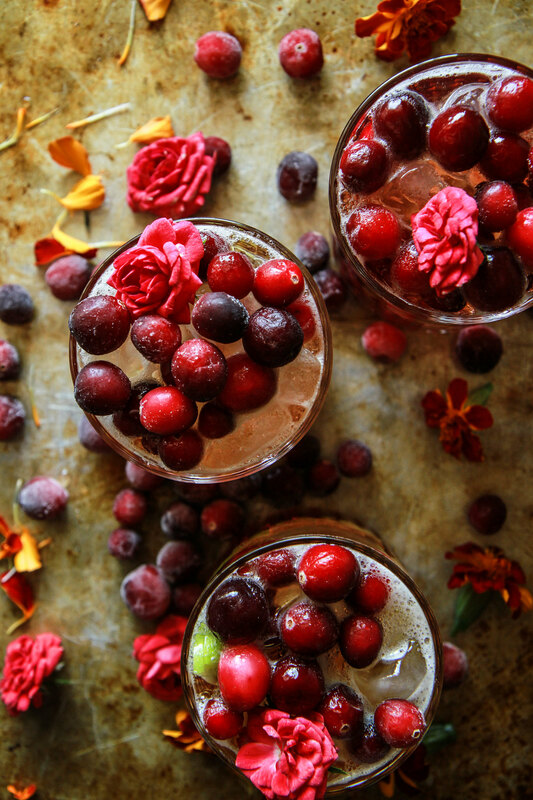 Pingback: 12 holiday cocktail recipes--and mocktails too!--for all the holiday feels. Hi Jenn! So Ginger beer does not have alcohol if you would like to try it? it’s like root beer, but with a very fresh ginger flavor. Other wise you could try gingerale, sparkling apple cider and a splash of cranberry! Give me a few. I could use it 🙂 Your video is awesome! I need to do something like this! I love it! Hi Heather! If I wanted to make this for a large party, should I just multiple it by how many servings I need, or do you have a large-recipe? Thanks! Just multiply it!! Have fun! How many ounces/cups size glass did you use?